The longer I'm working this second career of mine, as a Government Civilian doing analysis work for the Navy, the more places I seem to travel. 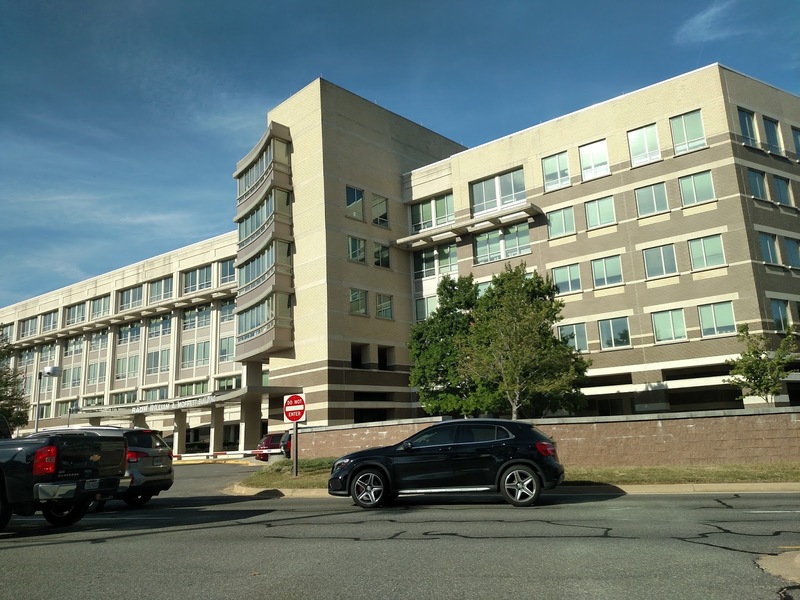 While Washington DC is a usual destination for me, either at the Pentagon for budget discussions with OPNAV (Naval Operations), or at the Washington Navy Yard for meetings about the status of various programs I'm involved in. The other frequent stop is Panama City Florida, where all the Mine Countermeasures (MCM) systems are developed and tested. 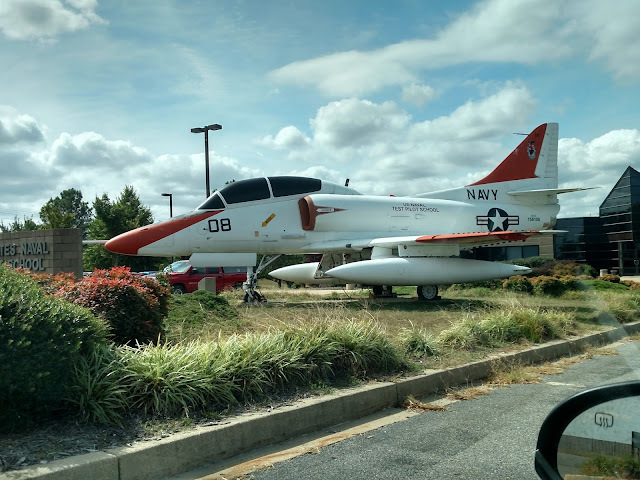 However, I had a short trip out east last week, to one place I didn't expect to ever visit - the Patuxent River Naval Air Station. PAX River for short. 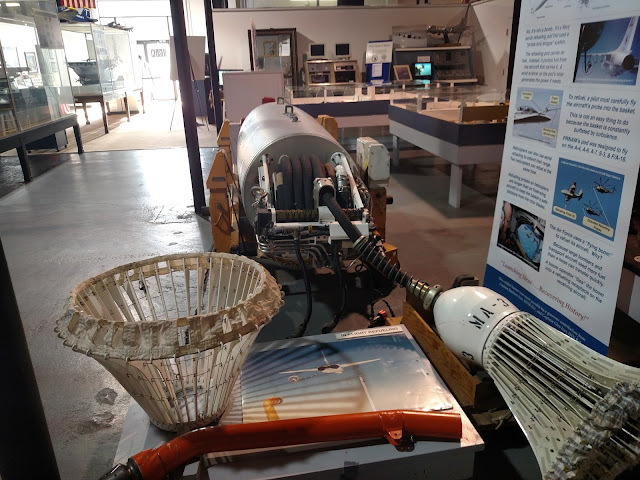 I was there for an Office of Naval Research (ONR) S&T Unmanned Underwater Systems Demonstration - PAX River 2015. If the Navy needs a capability that isn't currently met by our weapon systems, and the technology isn't something we can just buy off the shelf, that's where ONR steps in. They help to develop new technologies- from the drawing board to a prototype system, then pushing them to the Program Offices at the Navy Yard or NAVAIR in PAX, for further refinement and testing. 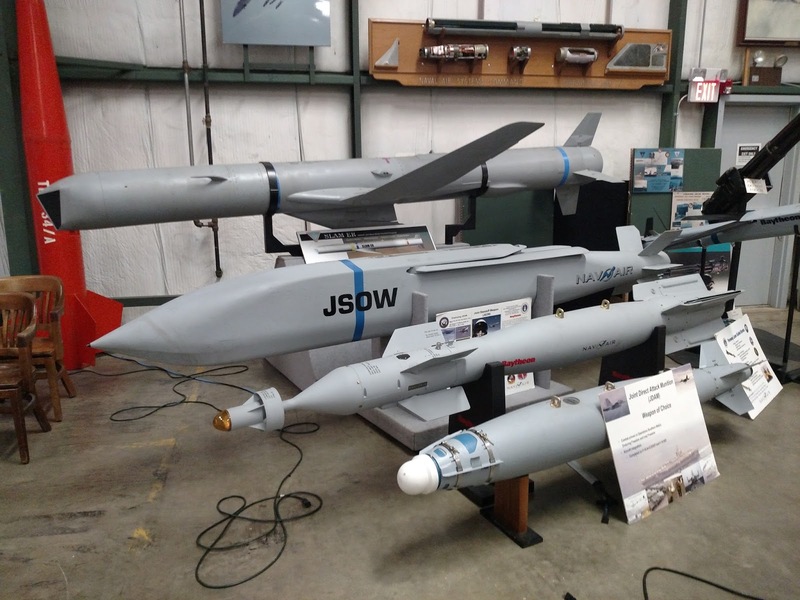 Normally, the testing and demos for unmanned underwater systems is done off SoCal or in the warm waters in Panama City. However, the Pax River area provides these vehicles with some challenging environments that the developers don't always get- high currents, high chance of (simulated) mine burial in silt or mud, brackish water, cluttered bottoms, etc. I was there to see some of the future MCM systems during either their mid-term or final exams before they transition out of the S&T world. Pax River is home to the Naval Air Systems Command (NAVAIR). It's a surprising destination for me because there are no Naval Sea Systems Command (NAVSEA) entities in Pax, and it's those folks whom I work with for the development of MCM equipment. Unfortunately, it was a quick trip- 2 days in and out, so I barely had time to visit this place. 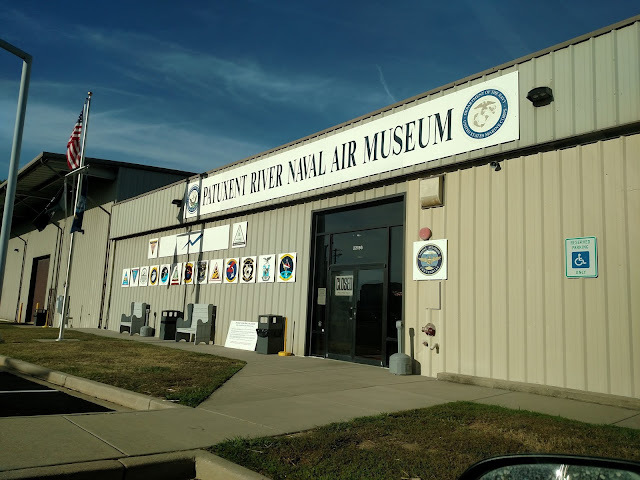 Since most Naval Air testing is done in Pax, and some versions of those aircraft don't make it to the fleet, the Pax River Naval Air Museum seems to get first dibs. 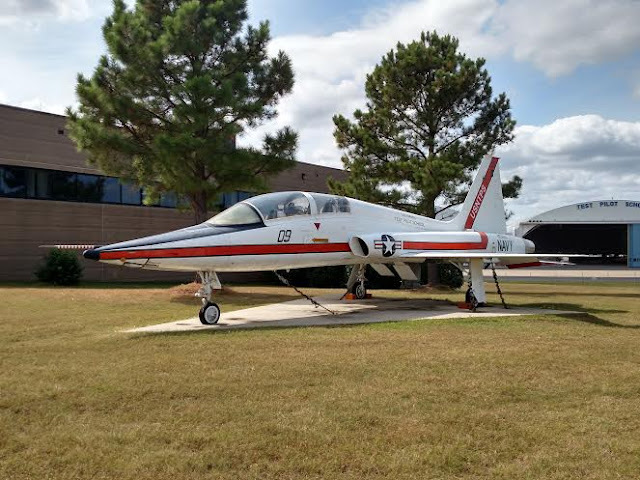 They have quite a few of either prototypes, or fleet aircraft once used by one of the test squadrons on base. This is Boeing's attempt at winning the Joint Strike Fighter contract- the X-32 Guppy. 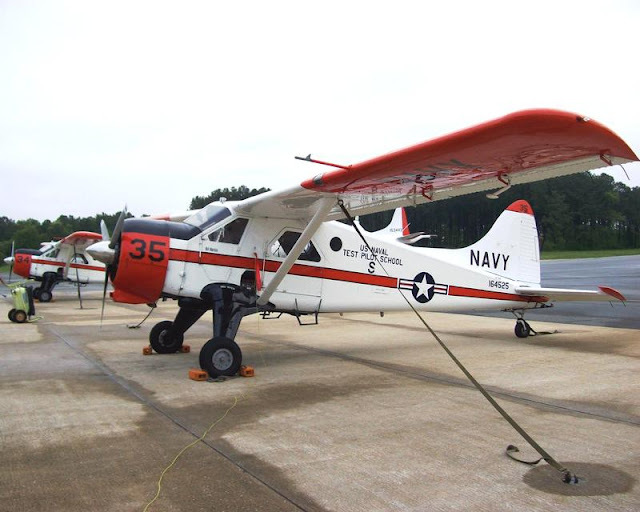 Ok, it wasn't really called the guppy, but it looks so much like one that it was bound to lose. I just can't see our front-line US Fighter aircraft looking that dorky. Speaking of which, the S-3B Viking behind the guppy was a test bird from VX-1. 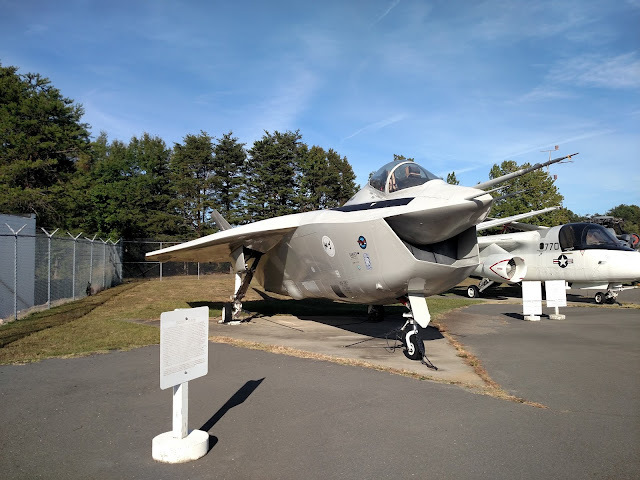 The museum also has Lockheed's X-35 which became the F-35. It's a pretty small museum, but it's jam-packed with exhibits, including this refueling pod, which made me a bit nostalgic. 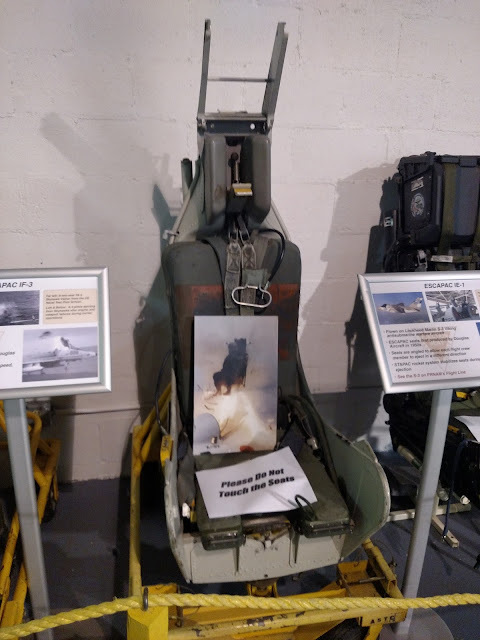 I have some experience in using these things as the Viking was the sole tanker for CVW-5, and the primary one when I was in CVW-11. This is the mother of all Unmanned Aerial Vehicles (UAVs)- the Drone ASW Helicopter or DASH. 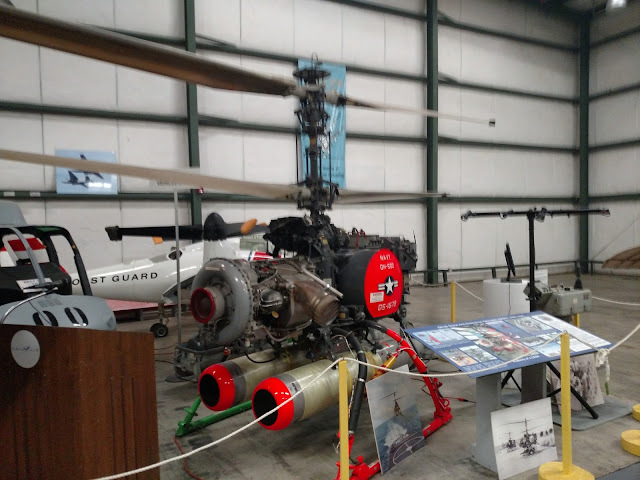 The original DASH concept was a light drone helicopter that could release a nuclear depth charge or torpedoes. The aircraft was considered expendable. The Eagle Eye Tilt-Rotor UAS was Bell Helicopter's attempt at staying relevant in the UAV world. 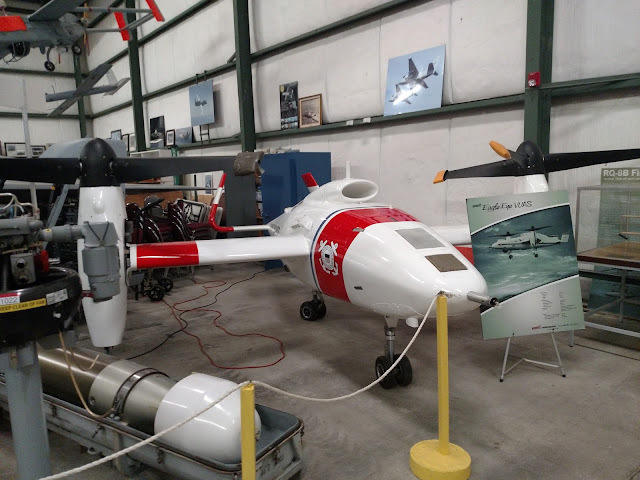 In 2002, the aircraft was scheduled for further development by the USCG, but funds have since been pulled back and the program has languished. I wish I had had more time to visit the museum, which is expanding into the building concept below this fall. That will probably expand their available exhibits. 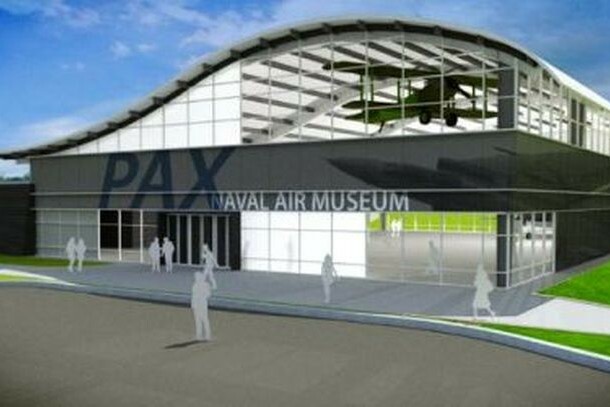 The building is actually complete now and sits right in front of the other museum, just outside the Pax River NAS main gate. If you'd like to see more, watch the video from the museum website. 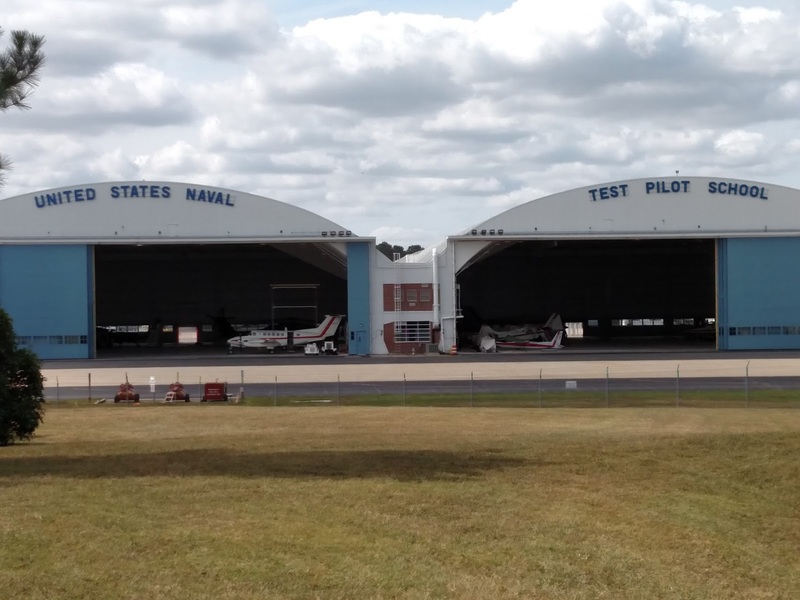 Pax River is also home to several test squadrons and the US Navy Test Pilot School. TPS is probably one of the more interesting squadrons a Pilot or NFO can be a member of as the type of work can be exciting and the variety of aircraft they can fly is extensive. In total, TPS has 12 different aircraft types. A Lieutenant who worked for me recently left San Diego for TPS. He flew the MH-53E in the fleet, but is soon to complete his transition to the MH-60S. 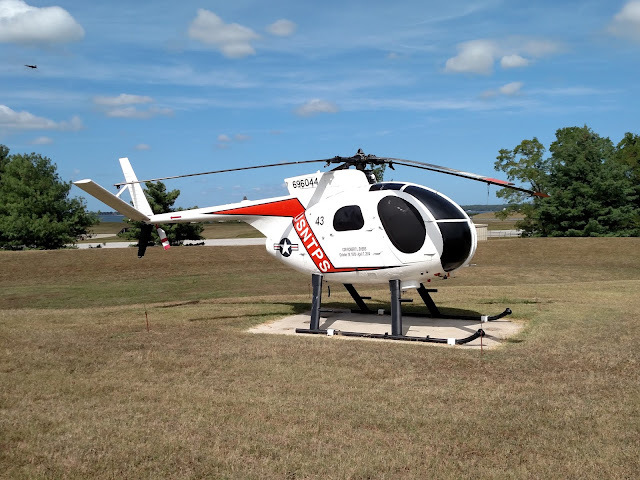 At TPS he's already flown the OH-58C Kiowa, the UH-60A/L Black Hawk, and the UH-72A Lakota. When we spoke, he said that the Lakota was a blast to fly because of its aerobatic capabilities. 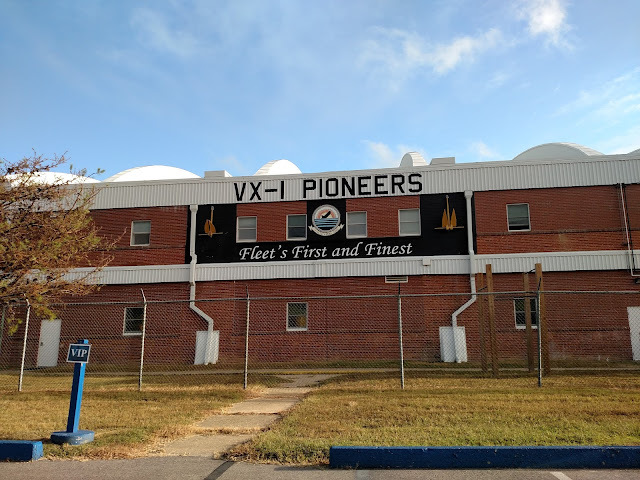 Due to the UUV demonstration schedule, my timing was too short to get a tour of the squadron so I was only able to get a few distant photos, or ones of the static displays in front of the school house. TH-6B Cayuse, also known as the Little Bird in SpecOps circles. This was replaced by the Lakota. 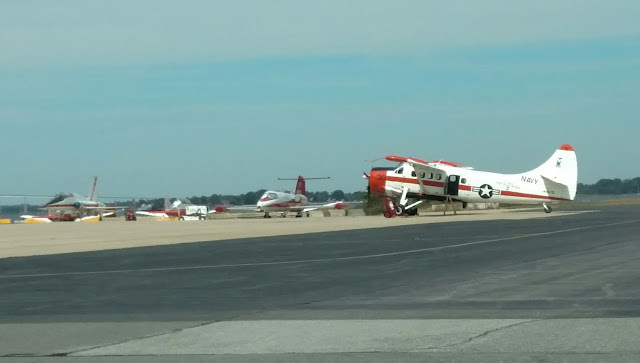 The flight line has an even more interesting mix. From the parking lot I was able to see several T-38s, T-6 Texans, a Lear-jet, and even a NU-1B Otter. That aircraft is over 60 years old, but looks to be in excellent condition. The school uses it to train test pilots in low speed aircraft handling characteristics. I otter get a better camera for these long distance photos. 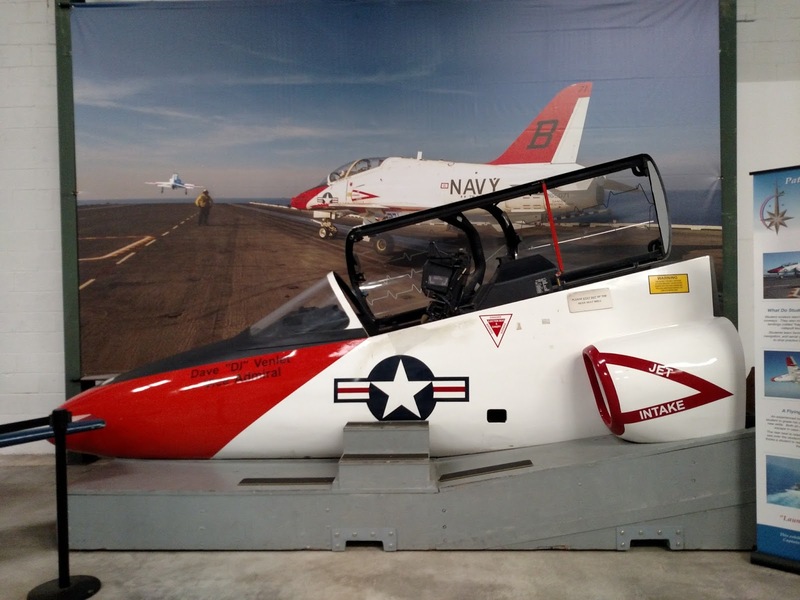 They also have a U-6A Beaver, which is used to tow another interesting aircraft not found in any other Navy squadron- an X-26 Frigate Sailplane. 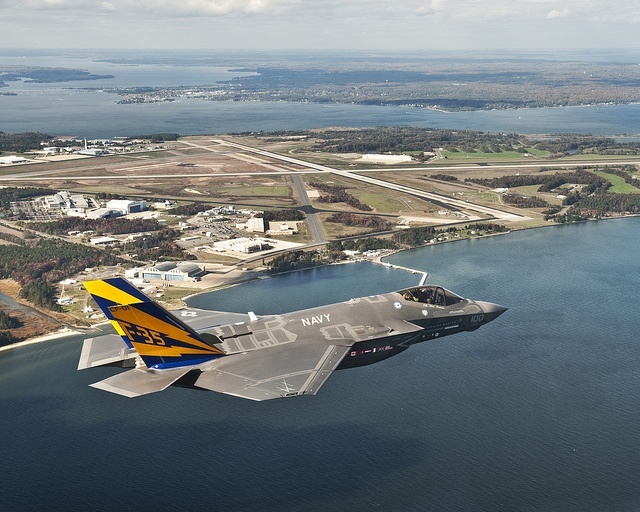 Pax River is also where the Joint Strike Fighter is being tested. 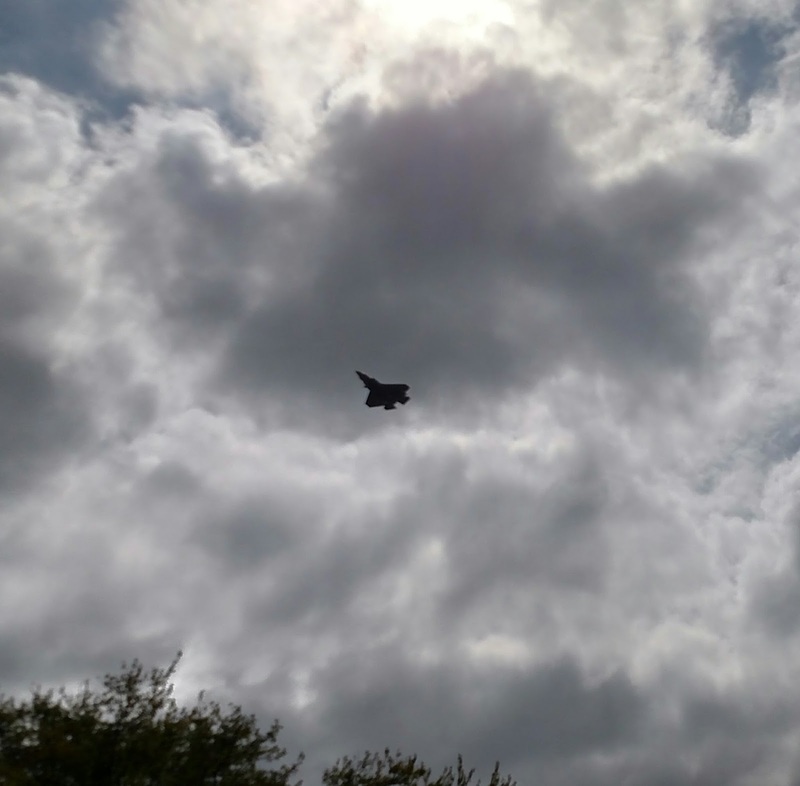 On the first day there, It flew over me every few minutes as it went around the pattern, but I couldn't get a better picture than this. Two of the 4 JSFs I could see as I drove past. 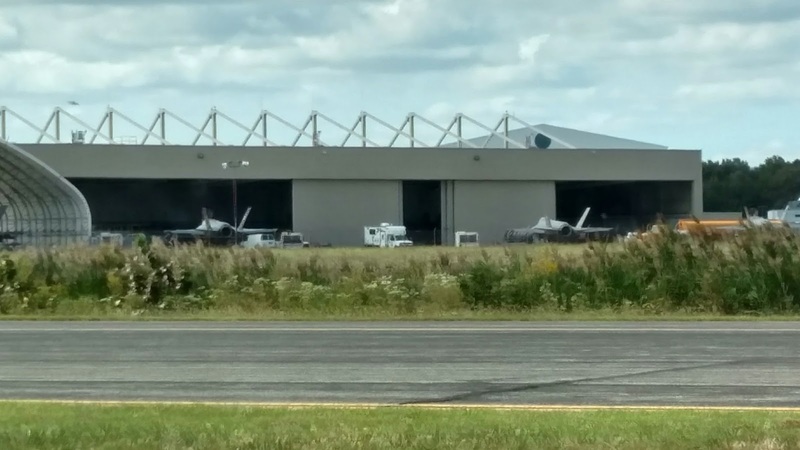 Air Test and Evaluation Squadron ONE or VX-1 is on the base as well. The PIONEERS do most of the Operational Testing for non-strike aircraft, like the MH-60 Romeo and Sierra variants, the P-8 Poseidon, P-3C Orion, and E-2D Hawkeye, all of which they have in their stable. 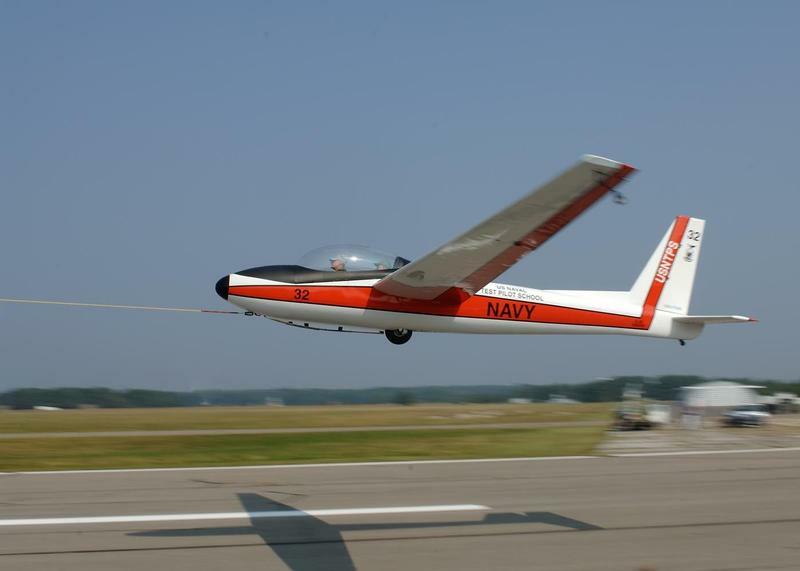 But they also provide testing support for the EP-3 Aries II, E-6B Mercury, KC-130J Hercules, and the MQ-8B Fire Scout, RQ-121A Blackjack and Triton Unmanned Aerial Vehicles. I've always had more than a passing interest in VX-1 as it was the squadron that developed the SSU I've written about before, and several former squadron-mates took orders here for their first shore duty after their initial fleet tour. 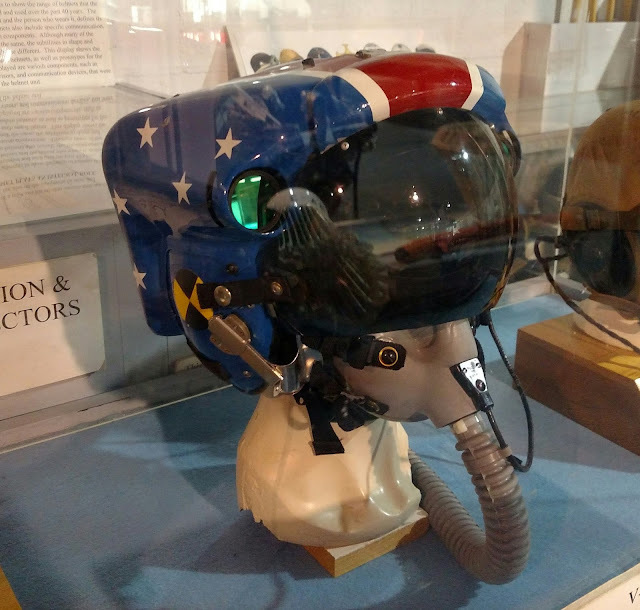 One such LT went on the be an Astronaut after being accepted into TPS while in VX-1. 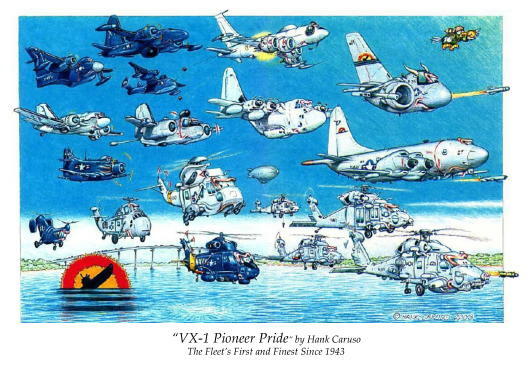 I've always liked this Hank Caruso caricature, which shows the variety of VX-1 aircraft. Well, that's about all my pictures from the trip so I'll close for today. 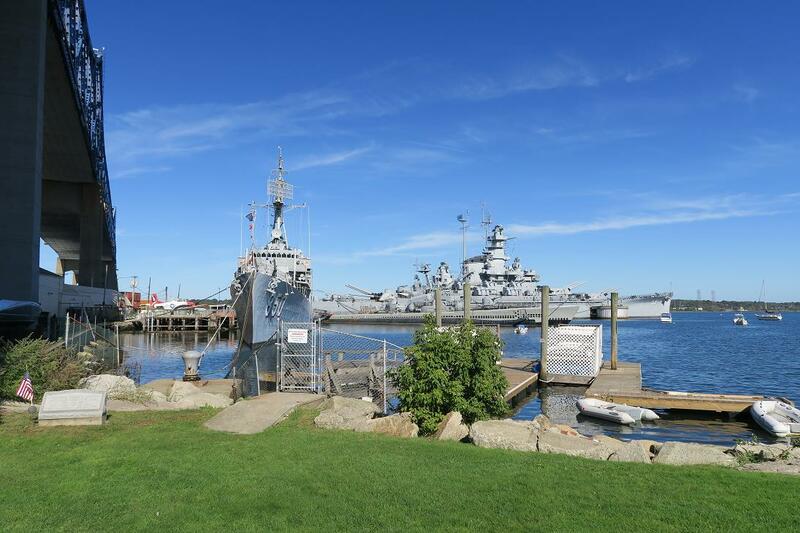 As it turns out, I'll be traveling again next week, to another base I have yet to visit as a civilian- the Naval War College in Newport Rhode Island. Maybe I'll find time to visit someone who lives not far from there. BB-59 USS Massachusetts "Big Mamie"
As mentioned the other day, blog buddy Murph and I were at Battleship Cove in Fall River, Massachusetts on Sunday. The weather was superb, no doubt it was that way so Murph would think his whole vacation in New England would be like that. There are bold pilots and there are old pilots, but no old, bold pilots. While Murph loves to take chances and boldly go where he ain't supposed to go (or play with F-4 boarding ladders when he shouldn't), that boldness doesn't extend to his flying. Smart man that Murph. 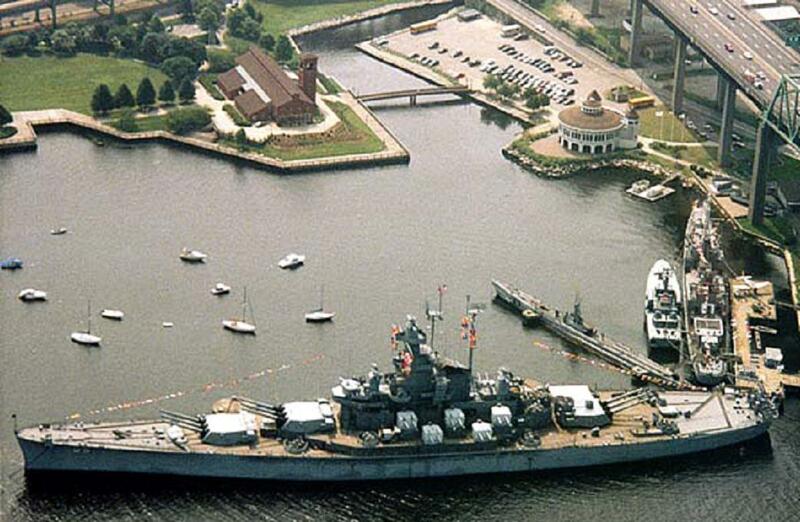 Though our trip to Battleship Cove might lead one to think otherwise. On board USS Lionfish I discovered that Murph has yet to find a switch or button that he won't at least try to activate. I had the following go off not 6 inches from my left ear. Let's just say that it got my attention! That was in the control room of the Lionfish. The look on his face was priceless, he seemed rather chagrined when he realized that he'd activated the alarm right next to my head. Also in the control room I decided to have a head butting contest with a piece of equipment hanging from the overhead. Notice in that previous photo how there seems to be Plexiglas covering all of the neat switches, levers and buttons? Man did that frustrate our man Murph! While this is a short post to cover for Tuna (who mumbled something about a paying job and dashed off) I will be posting more pictures later. Well, when I "hired" Tuna I told him he didn't have to post every Tuesday, just when he wanted to. I have a similar arrangement with Juvat for Mondays. If they don't have time, I get to step in. We watch over each other here at The Chant. Lord knows someone needs to keep an eye on us! On the left the Soviet built (Leningrad) Tarantul I-class corvette Hiddensee. On the right the stern of the Lionfish. One of the things which would have enticed me into the Navy. Posing on Kennedy's port-side bridge wing. Why I didn't join the Navy. Enlisted berthing on board Kennedy. 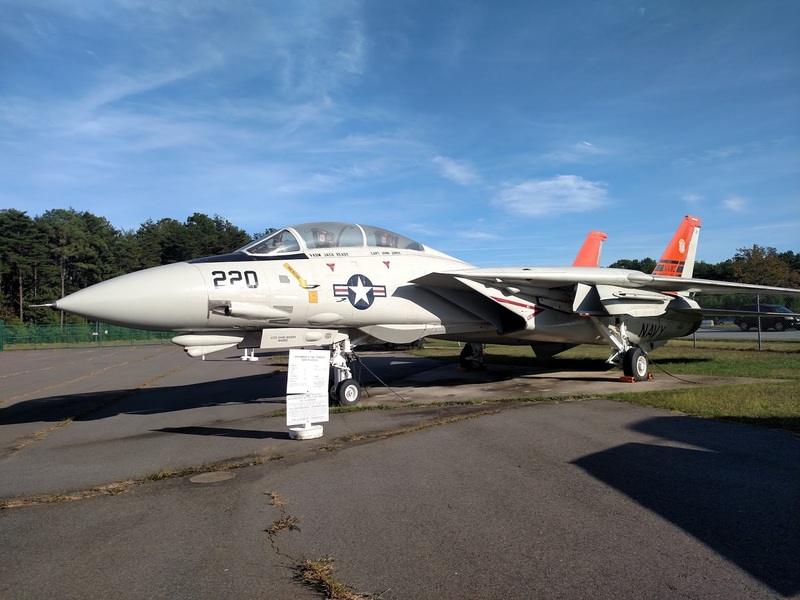 You could hear the gears in our heads turning as we plotted how to get this next beauty back to Newport State Airport! I think they knew about Murph's visit, hence the fence. So It's Saturday and I’d already decided on the subject for today’s post which for me is usually the hardest part of the process. Having made momentous progress on the post at that point, I decided to take a break and see what was posted on the usual suspect’s blogs. Quick visit to Aaron’s place to check on his progress towards his first solo. No joy, just the description of a shooting in Detroit. Off to Old NFO’s blog to read an “interesting” post. Back over to Borepatch to read why I really don’t want to upgrade to Win10 and now I’ve got to fix Win7? Thanks loads guys. Quick stop at Insty for any breaking news, and then to the Timewaster for some photo goodness. I knew Sarge and Murph were getting together this weekend, so I’m cutting them some slack on content, but stop by Murph’s anyhow as he’d posted a departure notice. Wanted to see if he’d posted an arrival notice, hopefully with some airborne photography. Well, he arrived, sort of. Seems he and a bird had a meeting of the minds. Murph and airplane are ok. The bird, not so much. So, good news. But how had he figured out the subject of my post and then managed to preempt the story by arranging a bird strike? 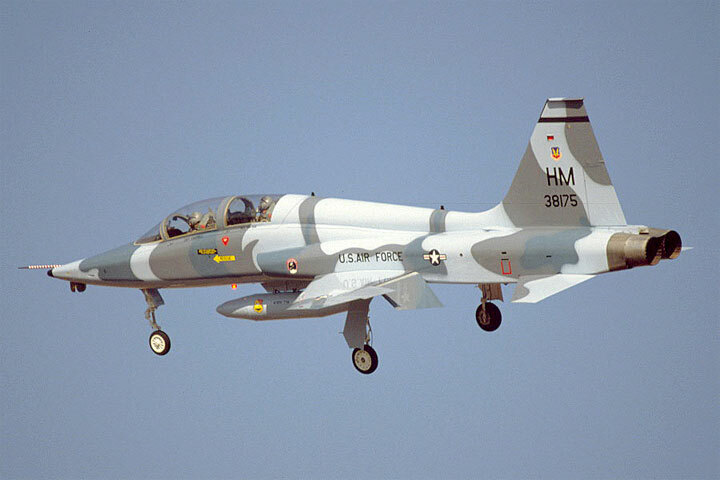 I’m an IP at Holloman AFB, flying the mighty AT-38B. We’re back in the pattern after flying a BFM ride. I’m in the front seat. The student in the back seat is going through the IP upgrade (downgrade?) program. A first assignment Eagle guy, it’s now time to pay the piper. I’ve flown with him before, and he’s having no problems with any aspect of the course. In fact, I’ve learned a lot by having him in the pit. I’m sure he was thinking I was showing him basic student mistakes when, in fact, I’m trying my best. Of course there was some quid pro quo during the Air to Ground portion on the bombing range. I’d talked him into splitting the six bombs, he’d drop the first, I’d drop the second (from the back seat), alternating for 30 degree, 20 degree and 10 degree attacks, quarter a bomb. Most satisfying 75 cents I’d ever won. But, I digress. As I said, the back seat guy is having no problems, and since we've got a little gas left, he’s practicing back seat landings, so he’s got the jet. We've come down initial as a two ship. # 2 is lower on gas than us, so he did a full stop. We request a closed pattern (pitch up to downwind) and been approved. We’re on downwind, intending to full stop on this landing, so gear down and flaps at 100%. Pretty sure I've flown this tail number. I do a quick check to confirm his statement that Gear and Flaps are down. Airspeed is good, displacement from the runway is correct. A fourship of Eagles calls 3 mile initial. I see them and so does the student. As he lowers the nose and rolls the aircraft to start the descending turn, I glance down at the ground and notice we’re over the small arms range. At that instant, I see a black object flash by. Immediately thereafter, I hear a series of small explosions. I think to myself “Hmm, I shouldn’t be able to hear the small arms fire.” as I notice the fire light on the left engine. There are lots of things that the military does not do well. Fortunately, Training is not one of them. As I take the aircraft, I enter the emergency procedure mode. Hammered into us repeatedly, since literally the first day of Pilot training, are the three rules in an emergency. Maintain Aircraft Control. Fly the aircraft first, last and always. Don’t hit the ground, anybody or anything else. I light the burner on the good engine, roll wings level and raise the flaps to 60%. I continue the descent in order to build flying speed, but cut the descent rate a bit. Maintain Aircraft Control. Where are the Eagles? Ahh, there they are, they’ve already passed my nose and are above me. No problem. Fly the aircraft! Airspeed, about 200, gear up. 225, Flaps up. 250, stop the descent. Let’s hold 250 (max gear lowering speed). Analyze the situation and take proper Action. Figure out what the problem is and what needs to be done and in what order. I've got flying speed, but I've got a fire and I'm in crowded airspace. Got to let folks know to get out of my way. Didn’t want to compound our problem by getting shot down by a test missile. Ok, back to the problem at hand, I've got a fire on the left engine. That's a Bold Face procedure. Bold Face procedures were procedures that Aircrew were required to know verbatim, down to the punctuation. Written test weekly, only passing score was perfect. Failure meant grounding until written perfectly. Throttle, affected Engine-Idle, Throttle, affected Engine- Off if Fire warning light remains on. If fire is confirmed eject. I pull the left engine throttle to idle. It may have been microseconds, but it felt like I gave it forever, the light did not go out. I pull the throttle to off. The light goes out immediately. Well, good, we might not need to eject. Maintain Aircraft Control. Airspeed’s steady at 250. Altitude steady at 1500’ AGL. 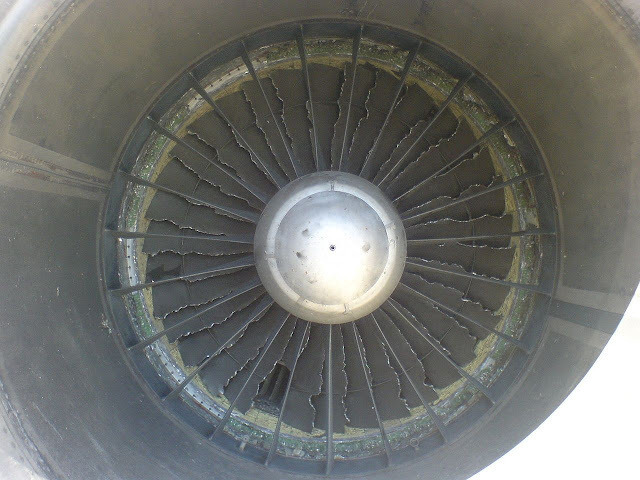 Right Engine, looks steady. Hydraulics, good, all gauges good. I contact the SOF and let him know the plan. He approves and says he’ll contact the appropriate folks. I know the fire trucks are already rolling, but he’s talking about “all the rest”. The Wing King, the squadron, the Wing Safety Officer, all the folks that will have me filling out paperwork for the rest of the day. Analyze the situation and take proper action. “Juvat is 5 miles, Gear down, three green confirmed, full stop with emergency.” The "confirmed" was included to prevent the call from the Wing King asking the SOF asking me to confirm three green, which usually would occur over the overrun, when I had other things to do. I’m holding it at about 180 just in case. (Normal approach speed is 155K +1 knot per 100 lbs of fuel over 1000, we’re below that, so normally I'd be 155) I want to cross the threshold at 155, but I want to continuously decelerate to that point. Extra airspeed is my friend all the way to the runway. The runway is more than 2 miles long, so getting stopped shouldn't be a problem. 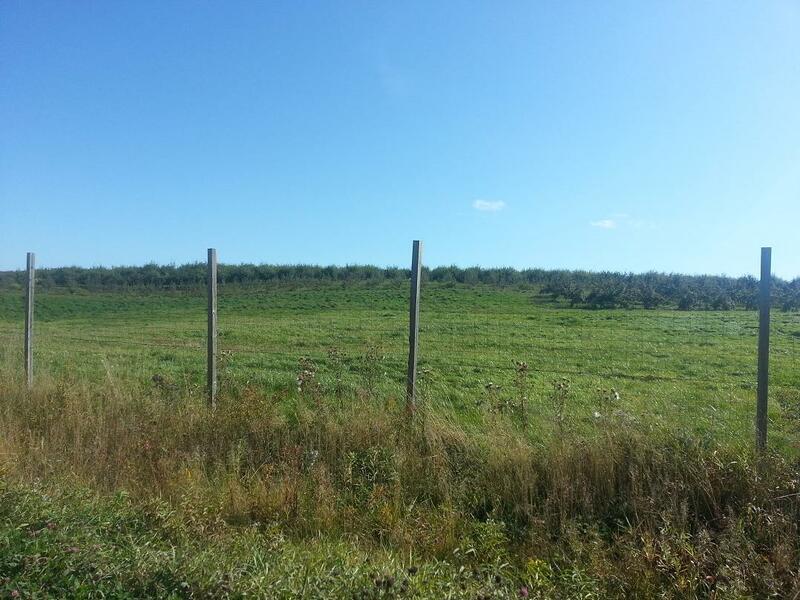 Land as soon as conditions permit. Cross the threshold, quick glance at the airspeed. 155. We’re committed to landing, there will not be enough thrust to get us back airborne if something happens now. I continue the throttle reduction to idle and begin the flare. I’m rewarded with a nice chirp when the mains hit the ground and continue pulling on the stick to aerobrake. Taxi clear, pull in to the dearm area and shut down when the arming area chief gives me the signal. Total time from declaring the emergency to shut down? About 5 minutes. Climb out and can’t resist taking a look at the left engine. I see daylight as I look down the intake. And STINK! Barbecued Buzzard stinks to high heaven. As the squadron scheduler, I've got a good relationship with the maintenance NCOICs. (The OIC also, but it’s the NCOIC that’s going to give me the straight answer on whether or not there’s going to be a jet for a sortie.) So, later that day, I ask him what damage the engine had taken. He said that the bird (it really was a buzzard) had taken out all the turbine blades which was why I could see daylight. The engine was irreparable. In doing some research for this I came across a blogpost about applying the 3 rules in an emergency to everyday events. Lotta truth in that. An awesome weekend, The Nuke was in town the whole weekend, my blog buddy Murph was in town Sunday. I am just a bit tired. Running all over the rocks at Brenton Point, climbing all over ships and submarines wears a fellow down it does. Tough keeping up with the young'uns! After the Juvat-Tuna interlude I'll have a post jam packed with photos. I have so many it's going to take time to go through them. I'll have a Sarge-on-the Rocks. Qu'est-ce qu'un sergent sur les rochers? 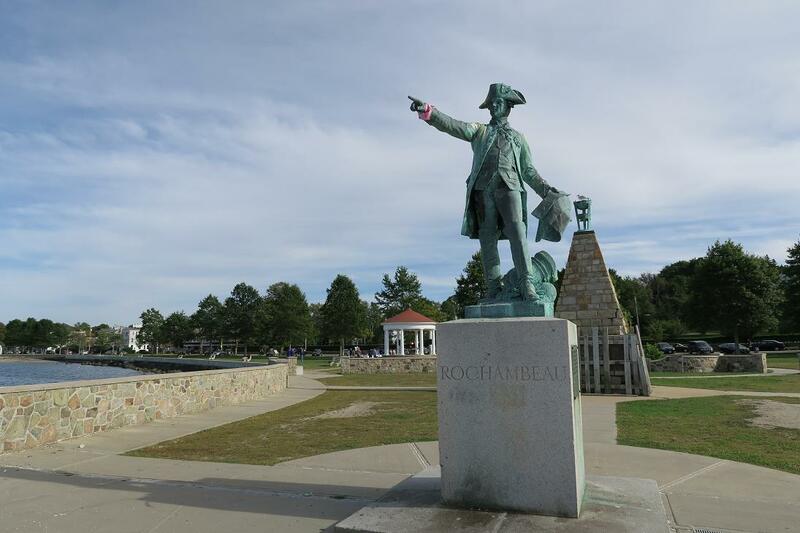 Rochambeau had a great time. In the meantime, read the folks on the sidebar, chat quietly amongst yourselves and don't forget to lock the doors when you leave. 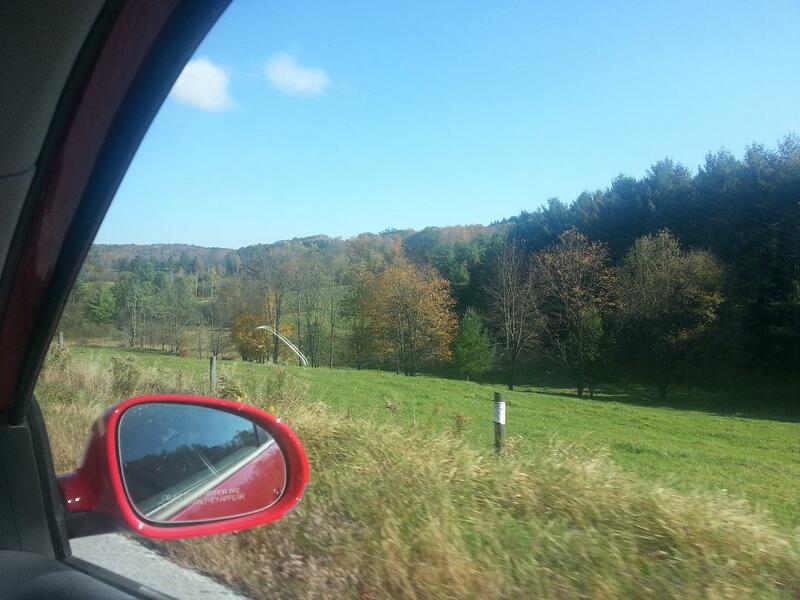 I started this blog back in March of 2012. Shortly after the untimely death of a writer who's musings, tales of Naval Aviation, thoughts on current events and politics I read every day from when I first stumbled across his blog to the very end of time, if you'll allow the phrase. Those of you who know of whom I speak need not be reminded, those who don't, well let's just say that you missed something special, something which I doubt I'll ever see again. I was stunned to say the least. I've written on this topic before, usually around the anniversaries of certain milestones in that wonderful writer's life and I won't belabor the point in this post. Suffice to say that on the 6th of March and the 9th of November there will be posts in his honor. I'm not sure how hizzoner would feel about that, my writing certainly doesn't hold a candle to his. So I started this blog partly as therapy, partly to replace the daily visits to his place and partly to chronicle my life and times for future generations. Mostly the future generations related to me by blood or by marriage. Along the way I've made a number of friends in the blogging world. By that I don't necessarily mean those folks who have their own blog, though many do. I have met a number of really fine folks who read my musings and stories and seem to appreciate them for what they are. I've added two fellows to the writing staff here at The Chant, Tuna and Juvat, and both contribute something very special to the content herein. Both were in aviation, both have a wealth of stories and thoughts to share, and both are good friends. Tuna I've actually met in person, I will meet Juvat one of these days. So what am I getting at? Lately I've been overly concerned with the number of page views for what we post. I've found myself thinking, "Wow, the readers apparently didn't care for that post at all!" Then I check the (admittedly wildly inaccurate) statistics which Google provides and note, "Damn, readership appears to be down today." So recently I've come to the realization that I'm fussing about things over which I have no control. I mean it's not like I do this for pay, 'tis a labor of love in many respects. Yesterday I shared some photos of life here on the coast. Whilst trying to ascertain what to write about today I was going through my photos. 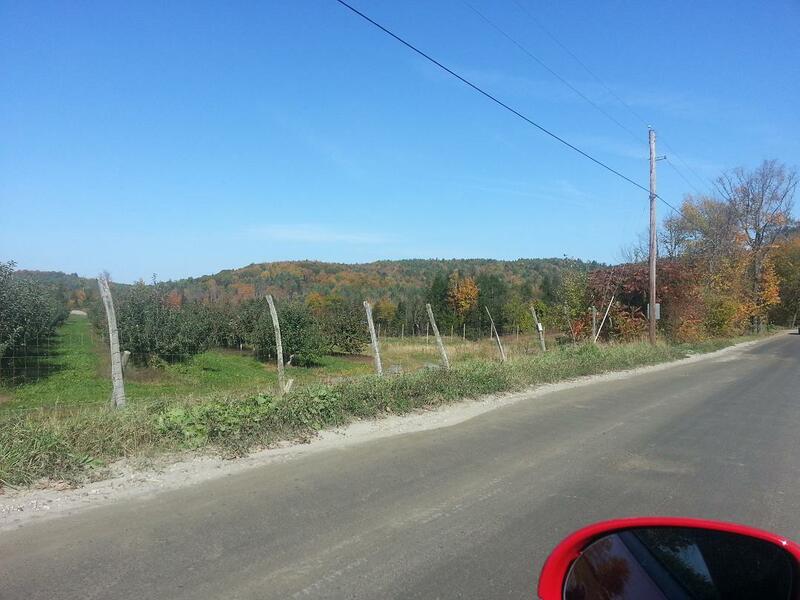 Two years ago in October I traveled north for Madame Mère's birthday. 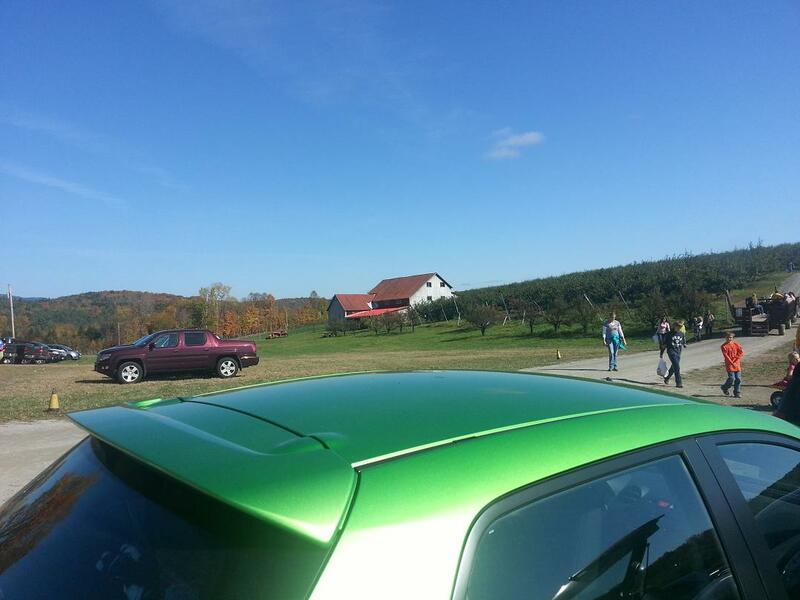 Just so happened that the very same weekend was the annual Apple Festival in my old hometown. While the festival itself was rustic, quaint and I found it entertaining, I was somewhat alone in that assessment of the affair. 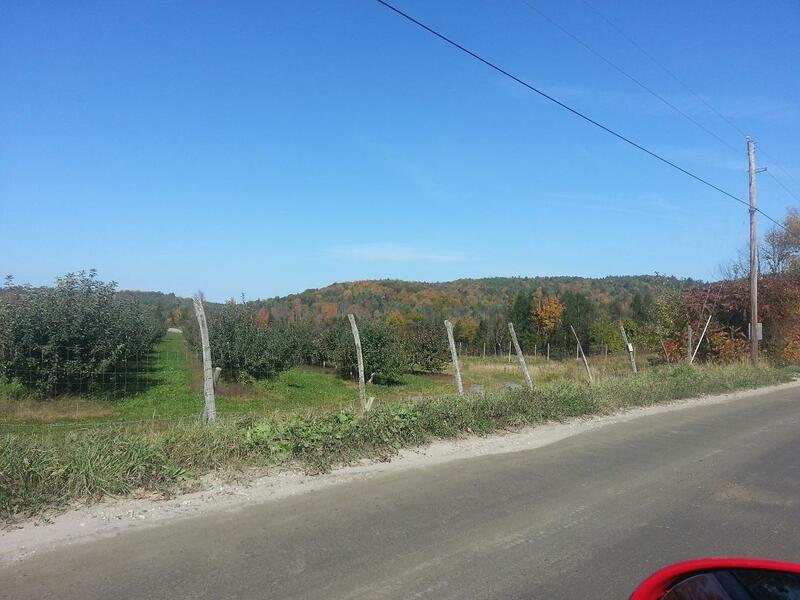 So my kid brother, The Musician, suggested we head up to Wellwood Orchards, a local favorite for all things apple and fall related. I took a lot of pictures on that part of the trip, some of which I'll share here. Some of them I'm saving for a future post. Let me just say this before the (ahem) slide show, fall in New England is one of the most beautiful spectacles on this planet. 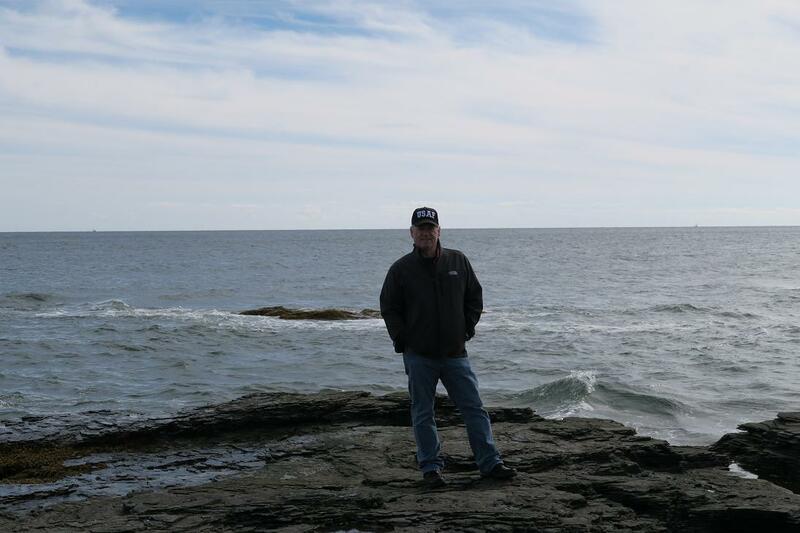 From the rocky coast of Maine down through the hills, mountains and river valleys of Vermont, New Hampshire and Massachusetts, down Narragansett Bay out through the forests of Connecticut, there is no place I'd rather live. 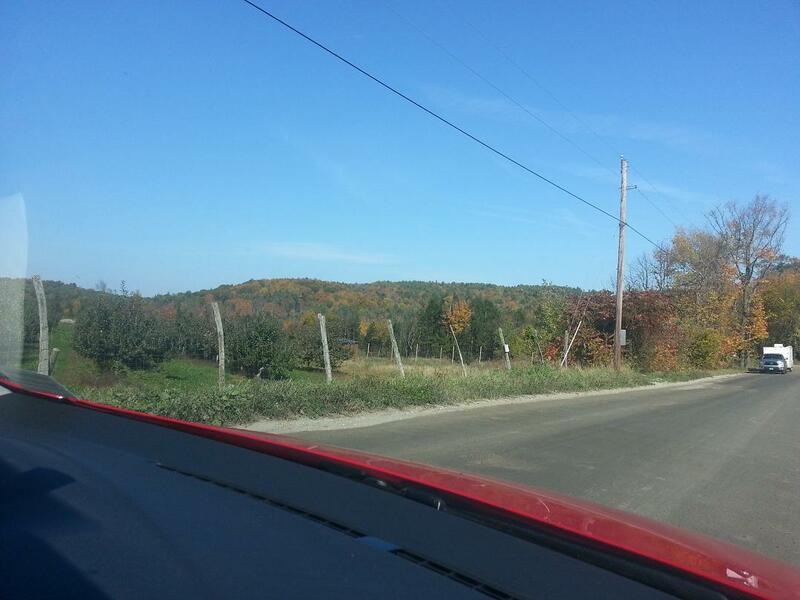 So, without further ado, pictures from October of '13, just north of where I grew up. 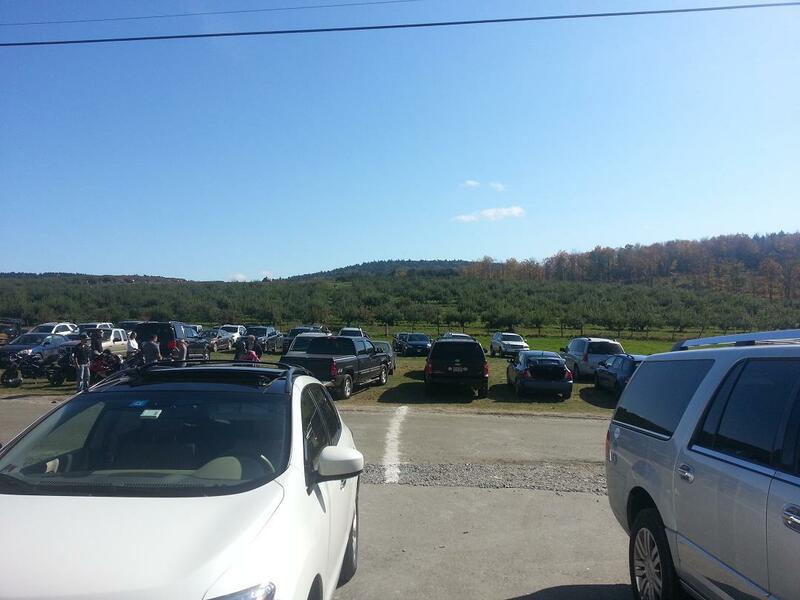 Parking lot at Wellwood Orchards, they do a fine business in the fall. 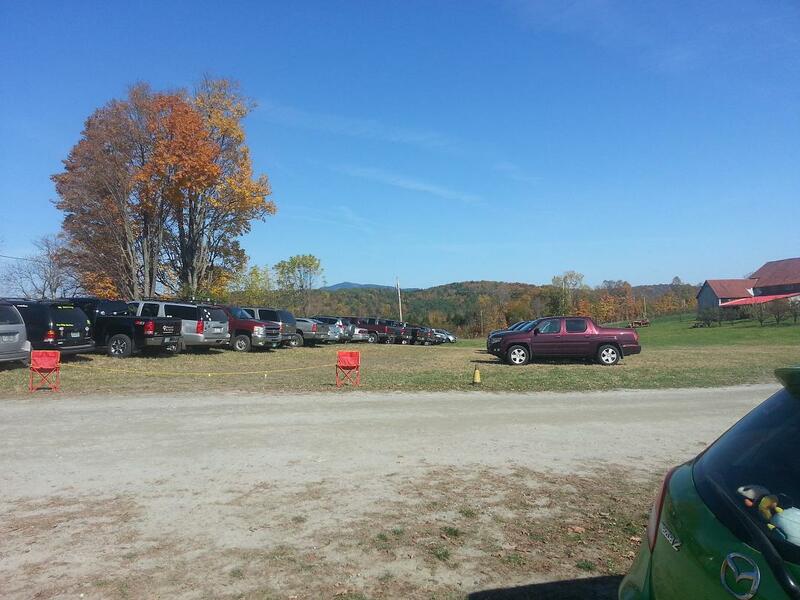 Parking lot at Wellwood Orchards, looking north, the foliage was spotty that year. 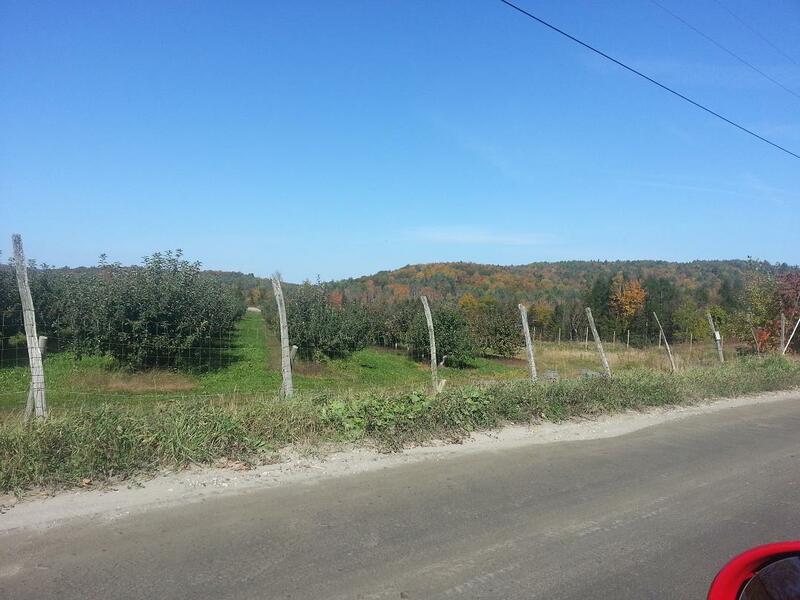 Heading away from Wellwood, the apple trees do go on for a ways. Virtually the same shot, slightly different angle. Yes, I did get carried away with the cell phone camera. 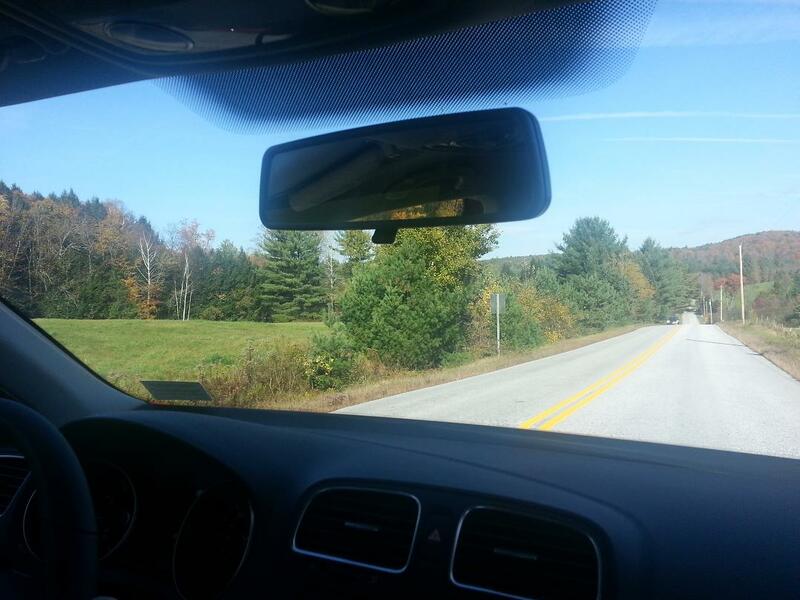 Yup, I just moved the camera to the right side of the car. 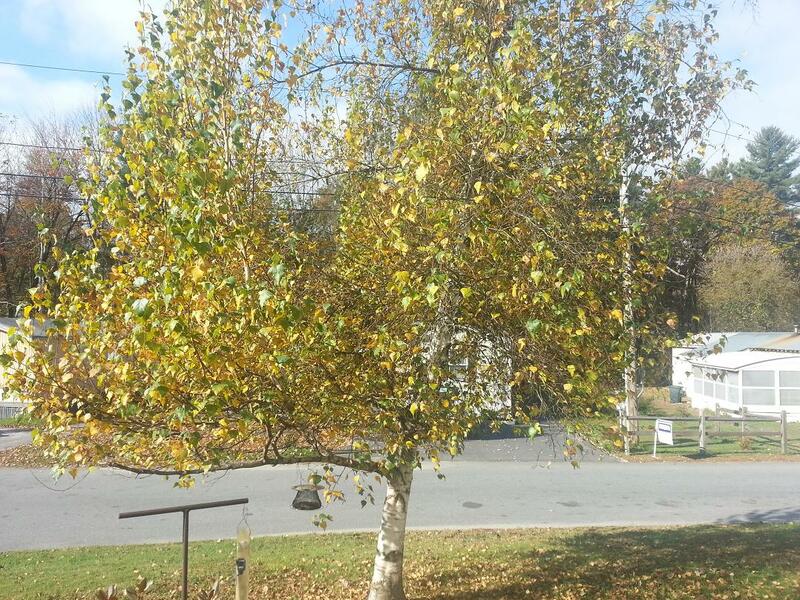 This shot is meant to show that while some trees still have their leaves, many have dropped theirs. In the distance, Mt. 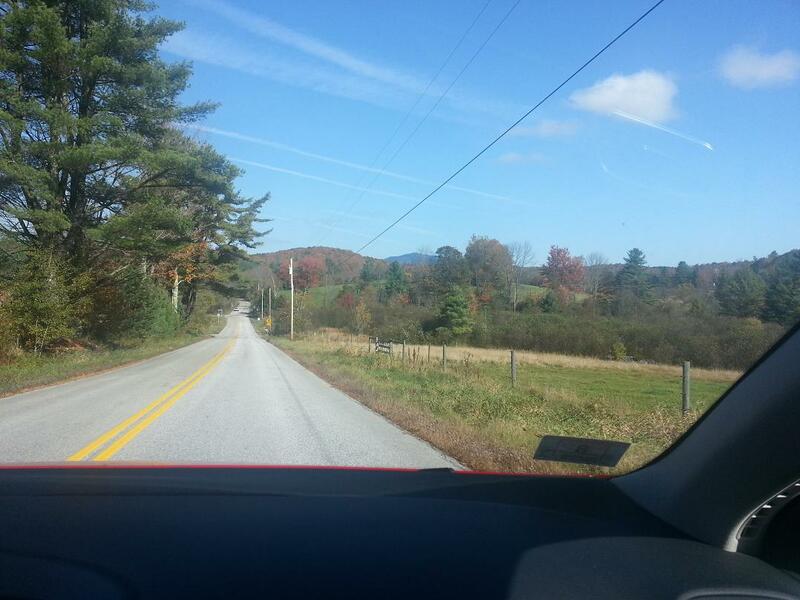 Ascutney, 3130 feet, I saw this mountain every day as a kid. 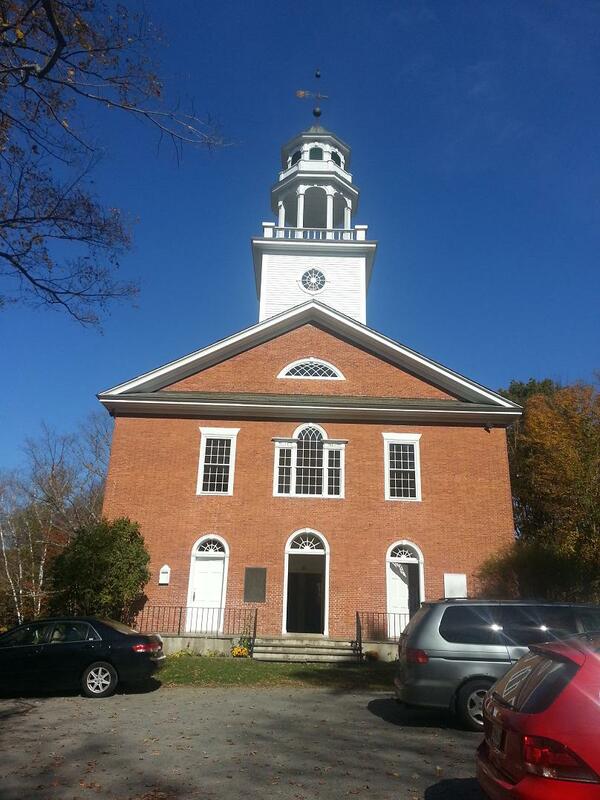 Old meeting house in Weathersfield, Vermont. Off by itself in the woods. 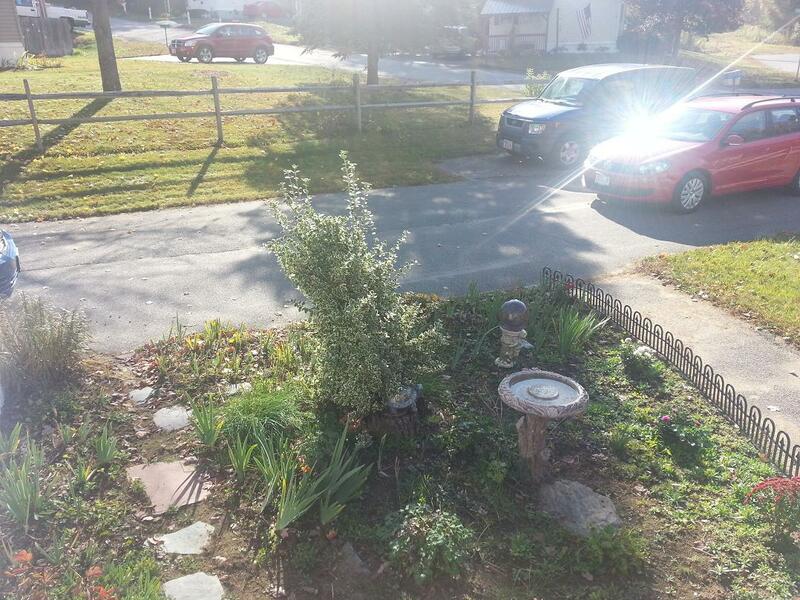 Back at the old homestead, basking in the warmth of the mid-October sun. For what it's worth I went to the Apple Festival last year and will be going again this year. It seems to consistently occur on the weekend before my Mother's birthday. 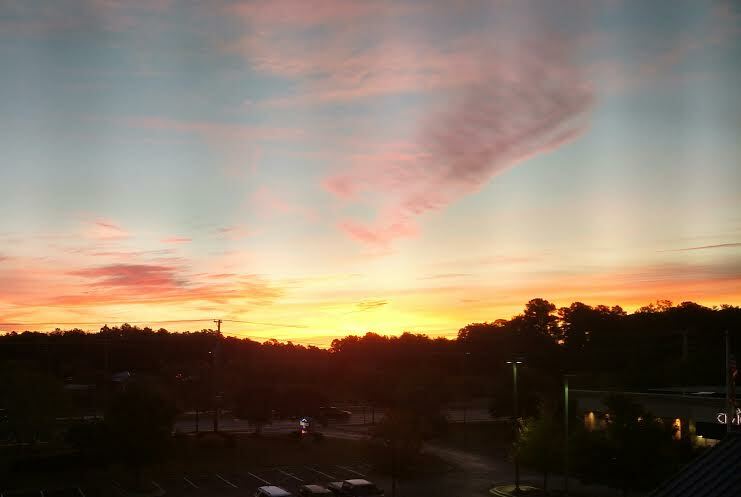 Gives us an excuse to get out of the house. I also seem to find a new Air Force hat every year.